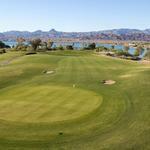 Nothing can beat teeing off at any of the top golf courses in Arizona like those found here in Lake Havasu City, where golfers are surrounded by sun-painted rock formations and the shimmering waters of Lake Havasu and the Colorado River. 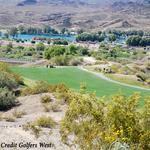 Our Arizona golfing adventures include scenic 9- and 18-hole courses suitable for any skill level. 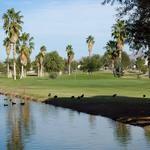 The climate here allows for almost year-round golf on some of the best golf courses, so escape the winter chill and get ready to sharpen your skills on one of our Lake Havasu City golf courses. After a glorious round of golf under a brilliant blue sky, golfing fans can go hit the 19th hole at any one of our many fine bars and lounges . 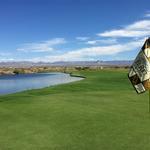 If you're looking for some of the most scenic and enjoyable top golf courses in Arizona, be sure to check out those listed below. 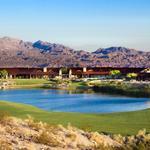 You'll find over a dozen of them, all located within a 90-minute drive of Lake Havasu City, including courses in eastern California and southern Nevada. 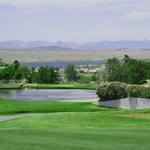 One thing you won't hear about from most golf courses is value. 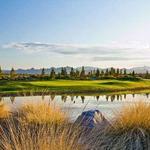 We believe that when it comes to a great Arizona golfing experience, quality and accessibility should go hand-in-hand. With features suited to a wide range of playing interests and abilities, these courses offer something for golfers at every level. All are open to the public so you won't have to worry about any high-priced, snooty private clubs shutting you out from a great day on the links! 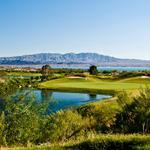 Courses marked with an orange star designate "must-play" top golf courses in Arizona and Nevada, with exceptional views and plenty of challenging fun for even the most seasoned golfers. 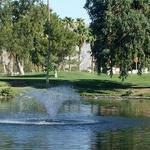 With all it has to offer, there's something truly special about golfing in and near Lake Havasu City. 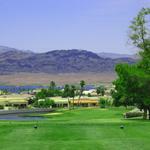 Great scenery, unbeatable weather and all for less than what you may pay in most other golf destinations. 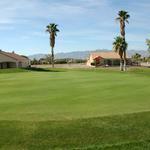 Are you ready to sharpen your skills on one of our Lake Havasu City golf courses? 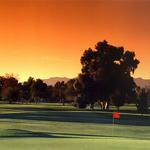 Explore our affordable vacation ideas and plan your Arizona golfing trip today! 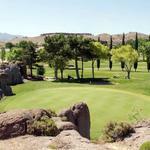 Indicates a “Must Play” course.